If riding a Harley-Davidson motorcycle is a timeless experience, then the FLSTSB Softail Cross Bones almost makes the clock stand still. The dark Cross Bones has the profile of an authentic custom bobber, a stripped-down-and-chopped custom with raw finishes and loads of attitude. 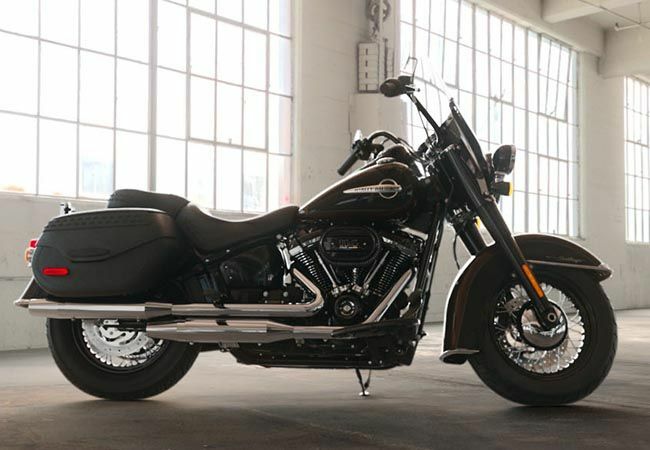 Cross Bones leads with the gloss black Springer® front end and follows with other post-war styling cues, including a gloss-black air cleaner cover, sprung solo seat, half-moon rider footboards and chopped front fender. The adjustable two-position pan-style saddle rides at a height of 676mm. The rider grips arm-high gloss black mini ape hanger handlebars. The gloss black oil tank features a new Willie G.-designed skull graphic. The bright chrome straight over/under exhaust with chrome dual mufflers contrasts with the dark frame and powertrain.